"I have looked in the mirror every morning and asked myself: 'If today were the last day of my life, would I want to do what I am about to do today?' And whenever the answer has been 'No' for too many days in a row, I know I need to change something. " Life.Do wants you to focus on the things that really matter in your life. Focus one thing once, and complete them one by one rather than making a list and planing them. Life is short, choose the most important things and try all your best to accomplish. Remembering that you are going to die, and just find out what really important. I am striving to make tiny but marvelous apps. Life.Do is one of them. Do I really have so many things to do everyday? --Yes, the answer is yes. We spend every day every week in works, in office and gradually forgetting our dreams. Suddenly one day, we are old enough and talking about our stories. Have you ever thought about what you really want to do in during life? If you want to achieve something, the hardest part is the beginning —— why not begin with setting a Life.Do? Take one minute to recall your dream, take another minute to set a Life.Do, and spend even your entire life to accomplish it. No matter success or not, at least you will not regret. Many people have achieved success after recognizing that life is short and every minute counts. 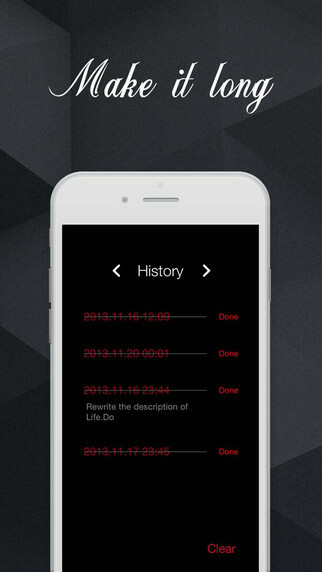 Use this app for motivation and to set short and long term goals. An app will never be expensive enough to compare with your dream. Just have a try today. 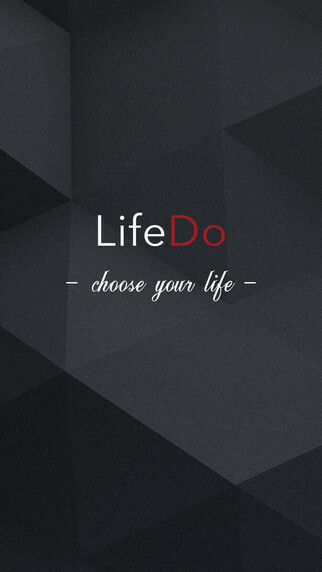 Choose your Life.Do and discover the most important things in your life. - Track one thing once, complete one by one. - Countdown system, track and remind yourself whenever and wherever. - Remind Ringtone, when the deadline hits, Life.Do will tell you. - Every time you open Life.Do, you can see how many days past since your were born. - Quotes, and one day you may leave the world a quote. If Life.Do influence your life, do not forget to tell your friends.